The Yap Podcast | Listen Free on Castbox. Join three PR, Media & Fashion experts as they take you on a revealing journey through the modern world of motherhood. A powerful combination of creativity, sass and business acumen, these modern mamas have proven that women can indeed wear many hats; you just have to know how to style them. From mum fails to fashion must haves, business start ups to trending technology; these uncensored mums dish the dirt on how to juggle homelife with fast paced careers and savvy social lives. Each episode welcomes a powerhouse guest; a boss babe that will shed light on their career or family life, spilling the beans on how to awaken the inner daydreamer and emphasise to listeners that creativity is for the courageous! Best served with coffee. Or wine. Join us as we yap with the inspirational Alison Geale. A leader in one of Australia’s largest media companies for over 20 years, Alison shares her advice on how to lead a fulfilling career working in large organisations. Now working within renowned child protection agency, Bravehearts, Alison shares her stories on how to innovate within a corporate structure, and think like an entrepreneur, while being part of a large company. An episode perfect for those who have thriving careers within the corporate world who want to continue making a difference. A short and sweet mini-sode dedicated to highlighting a few things we love including services, shows, products and hacks to make life easier! 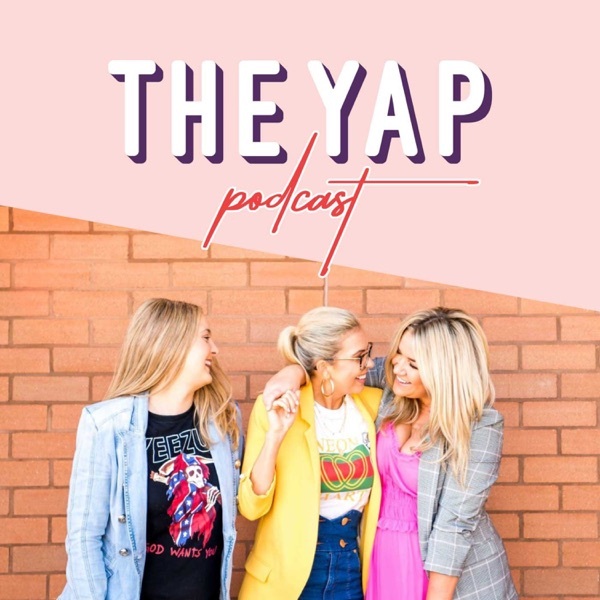 The Yap is bringing in the new year with business big gun, Lorraine Murphy, who joins us for our first episode of 2019! Lorraine is an Award-Winning Entrepreneur & Best-Selling Author, (“Remarkability”, “Get Remarkably Organised”), who founded her first business - The Remarkables Group in 2012; and soon grew it to a seven figure business. In this highly motivating episode, we yap through the importance of morning rituals, share effective goal setting strategies to turn you into a productivity machine; and even get a sneaky insight into Lorraine’s yet-to-be released book! Get your pen and paper ready yappers.. because, trust us, you’ll want to take notes and GET. SH*T. DONE. This episode is for the dreamers. It's for the creatives who believe in their art, but may need a little guidance into believing in themselves.It shares a warm story of a humble self-taught designer who is now one of Australia's most loved artists!We sit down for a yap with Boss Mama Jesse Windle; Founder and Creative Director of Louie Luxe.She's a magician with a paintbrush, a true creative soul. Known for her stunning customization work, Jesse creates art through her client's most intimate moments that absolutely take your breath away.Throughout this episode, Jesse reveals her path to creative freedom, her journey of self awareness and her ever-evolving business success. Join us as we take back our power!This episode we yap to Jules Coffey, qualified Doula and Instagram mummy influencer, on how mindset is EVERYTHING. Jules explains what a Doula is, how they assist during pregnancy and labour and discusses some helpful recommendations to help you create a wonderful birth experience.If you’re expecting your first, or even second or third child, this is a must listen!Jules’s magnetic energy is contagious and we know you’ll take multiple takeaways from this ep! This was suuuuuuch a good episode gals!